The most important thing you can do to keep your car, 4WD or work vehicle running for a long time is to perform preventative maintenance by having your oil changed on schedule. 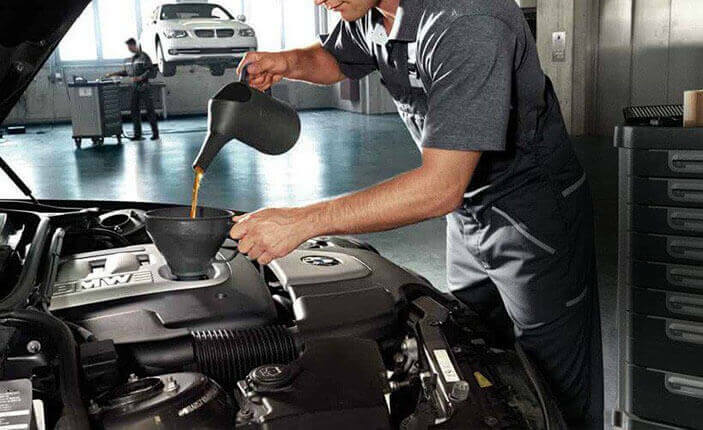 With a full service oil change your other fluids are checked and topped up so you won’t run into problems from low fluids. Your technician may see a developing problem and advise you of any other recommended maintenance. An oil change at The Workshop Hawthorn sounds simple enough but there are some pretty important things you need to know about preventing oil sludge. Oil eventually starts to turn into a jelly (petroleum jelly). This sludge clogs up oil passages and prevents oil getting into some areas of the engine causing parts to wear out prematurely. And that means expensive engine repairs. That’s why you need to change the oil and oil filter on schedule. To get the old oil out before it turns into sludge. Your car manufacturer will have recommended how many kilometres you can travel between oil changes. And they usually have a number of months between recommended oil changes. That’s because the detergents and other additives in the oil break down over time. Most owners’ manuals will have a recommendation for time and mileage, but you need to remember that it’s based on using the recommended weight of oil. And if your vehicle came from the factory with synthetic oil then the recommended intervals assume you continue to use synthetic. Also how you drive around Hawthorn, Glen Iris, Canterbury, and surrounding suburbs can have a big effect. Most owners’ manuals will have a list of conditions that are harder on your vehicle. Things like stop-start driving, short trips to the tram, railway station or Camberwell Junction or driving in very hot or cold weather, heavy loads and towing. If some of your driving is like this you may need to change your oil more frequently. This may sound a little complicated, so if you’re unsure talk to Laz or one of the team at The Workshop Hawthorn about how you drive and get their recommendations for when to service your vehicle. And if any of your steering or suspension parts need to be lubed we’ll take care of that with a lube, oil and filter service.